Great app for many uses. I love the ease of use and massive amount of information accessible in this app, yet the weakness is in details and functional graphics related to things like vestibular nerve. It's good and very useful, but I'd like to see more detail. Wonderful app for explaining to patients and families where there injuries are. 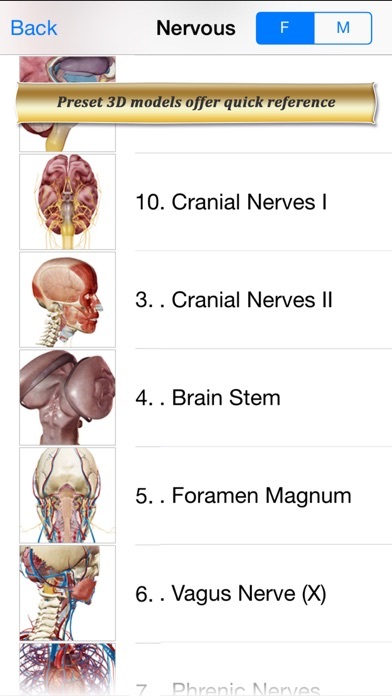 I really like this apps ability to visualize brain structures in 3d. Easy to navigate, zoom, rotate, etc. This is night and day compared to looking at slices and trying to reconstruct what the true 3 dimensional structures of the brain look like. Suggestion: What would really make this a world class app would be perhaps an "plus version" that contains increasing details as you zoom into structures. These smaller structures could have different shades of the original structure's color. 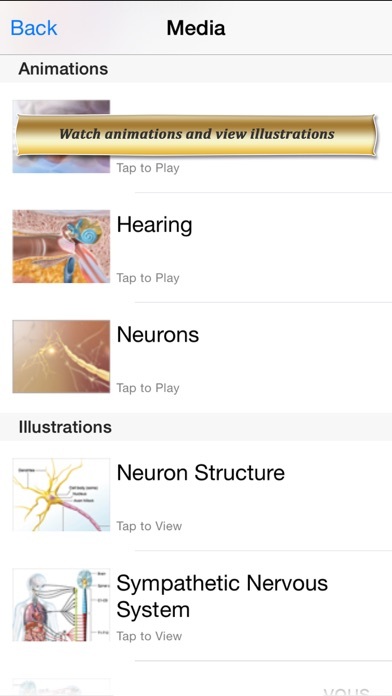 Detailed descriptions with known diseases once selected and this could be an app for every anatomy student and doctor who needs to understand the brain around the world. Throw in the various tracks in the brainstem and ability to digitally slice the brain from whatever angle or location you want and this will be the new standard for medical education worldwide. This app is definitely not worth 9.99. I wish I could get my money back!!!! Students must use this app with caution. 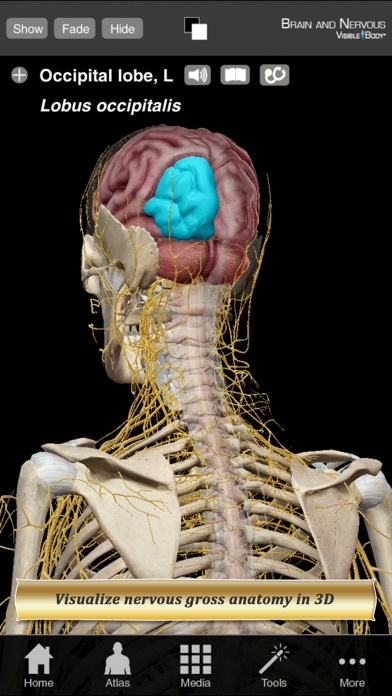 Graphics are good quality, however learning neuroanatomy its all about attention to detail. The thalamus, one of the most important structures of the nervous system, is not represented accurately. The thalamus is included as past of the mesencephalon under brainstem illustrations. I suggest for this app to be revised and updated by neuroscientists. 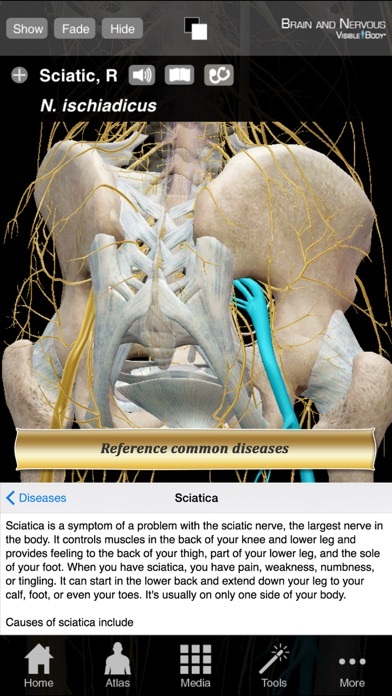 Good medical educational app. Very useful medical app for medical students and others related to medical field. 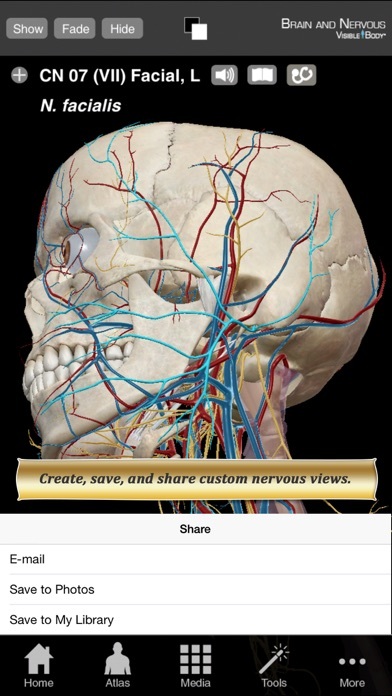 This app has very good 3d images very helpful to get good spatial orientation at early years of medical school. Being a radiology resident I would also recommend this to all first year residents and those who are interested in radiology, this is a good one for quick revision, the 3d images aren't given better anywhere else I believe. A must-have for doctors. The perfect substitute for old books and magazines. Its astonishing how you can fit so much medical information in just an app you can use on your phone/tablet. This is just perfect for those who exercise the profession. A five star app with an awful lot of information about the human body. Ideal for physicians.